Hardcover, 13.5 x 19.5 in. / 48 pgs / 9 color / 7 duotone. 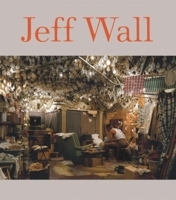 Standing almost 14 inches wide by 20 inches tall, this exquisitely produced volume affords readers an unprecedented opportunity to study the work of the important Canadian artist/photographer Jeff Wall at the large scale for which his work is known. Informed by conceptual art, historical painting and avant-garde film, Wall began to produce large-format color transparencies, presented on light-boxes, in the late 1970s--a format that has become strongly identified with his work. This volume includes recent examples of this work, as well as large black-and-white prints--a format first incorporated into Wall’s practice in 1996. Wall divides his photographs into two categories: documentary and cinematographic. A documentary photograph for Wall is tied to the traditional understanding of this term--a depiction of a specific time and place, without any overt manipulation on his part. A cinematographic photograph involves some form of intervention or restructuring by the artist. This category has ranged from slight movements of elements within a given situation to more elaborate approaches that involve the construction of sets and other aspects of stagecraft. Wall is best known for his cinematographic photographs, which have had a large influence on the expansion of notions of how the medium can be engaged. 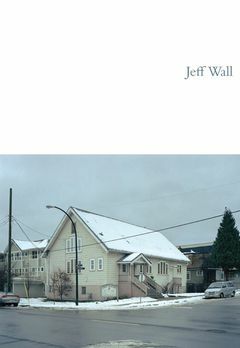 Rich in references to the natural environment and distinct urban character of Vancouver, where the artist lives and works, the photographs reproduced in this volume were primarily produced during the last seven years. Also available in a signed and numbered limited edition. Foreword by Peter Galassi, Neal Benezra. Text by Peter Galassi, James Rondeau, Jeff Wall. FORMAT: Hbk, 13.5 x 19.5 in. / 48 pgs / 9 color / 7 duotone.